1. Orders by Province: Number of orders from each province Each province will be its own subheading. So, “Orders by Province” will be the heading and “x number of orders from Alaska”, for example, will be the subheading. The number of subheadings depends on how many different provinces the orders were shipped to. 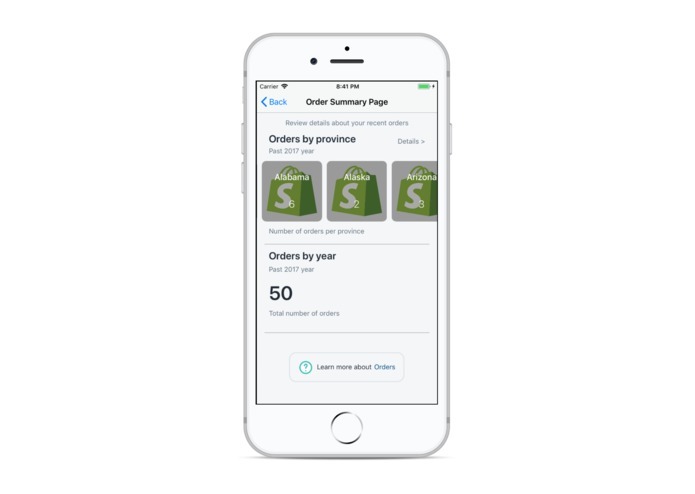 You can access the list of orders, and their properties, via the Shopify Orders List REST API. Reading through the properties’ descriptions will help you determine how to categorize orders in each category. It is possible for a single order to be in more than one category. Extra 1 Feeling adventurous? Under the Orders by Year category, display the first 10 orders (their names and any other basic metadata) that belong to that category.